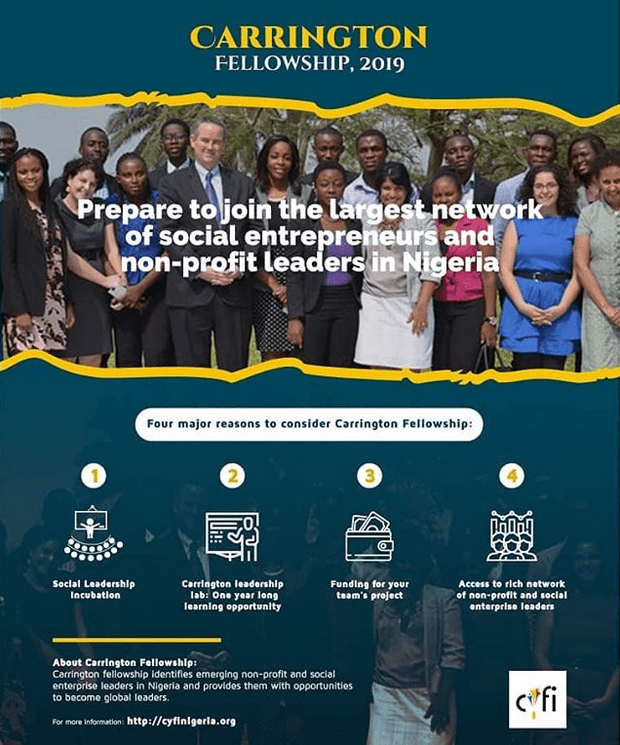 Home Fellowships Carrington Youth Fellowship Initiative (CYFI) 2019 for young visionary Nigerians. Application Deadline: 13th January, 2019. Applications are now been accepted for the Carrington Youth Fellowship Initiative (CYFI)! The 2019 application is open to all citizens and permanent residents of Nigeria currently residing in Lagos.